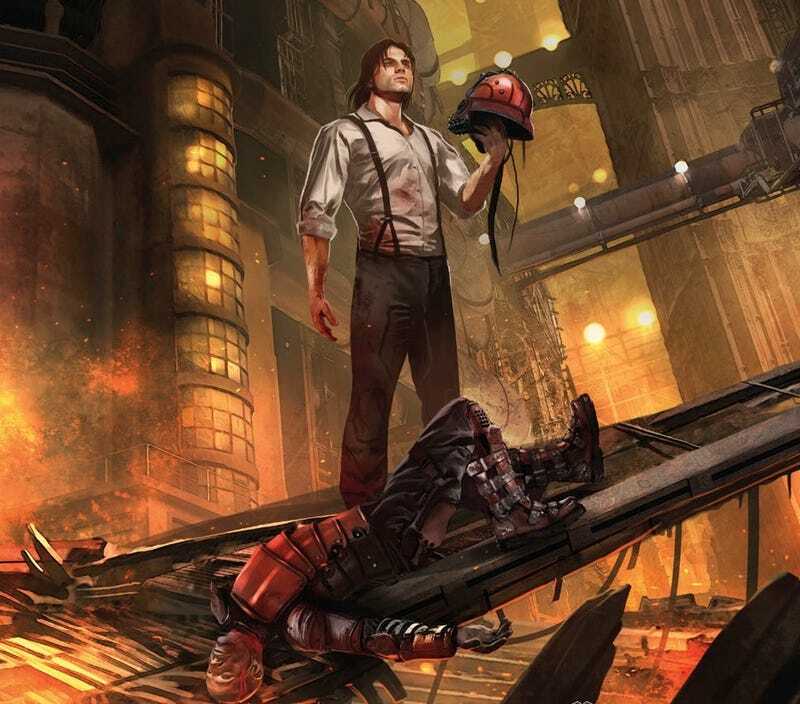 Times are tough in the dark depths of Lantern City, where Sander Jorve struggles to provide for his family while the elite live in soaring skyscrapers and party on floating airships above. Desperate, he links up with an activist group and goes undercover in “the Guard,” determined to even the playing field at any cost. Fans of Jules Verne and H.G. Wells take note: Lantern City is BOOM! Studios’ gritty new steampunk science fiction thriller from authors Paul Jenkins and Matthew Daley and artist Carlos Magno; the cover artwork shown above is by Benjamin Carré. Read on for our exclusive preview, below! Lantern City #1 will be on sale in comic shops starting May 13.